Get Ready to hop and shop! 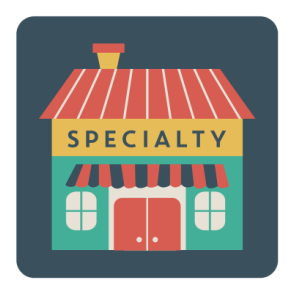 Our event vendors provide items unavailable in your local pet stores including hard to find bunny toys and accessories. Supplies will be plentiful but we hope you get there early so you get the best selection. An Ohio native, Penny Collins received her Bachelor of Fine Arts Degree from Wright State University and her Bachelor of Business Science Degree in Graphic Design from The Art Institute of Pittsburgh. 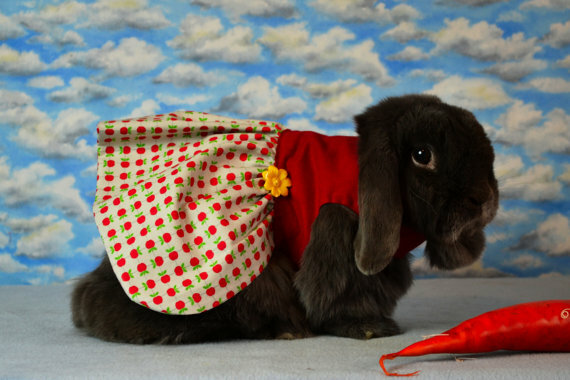 Penny currently lives in Toledo, Ohio with her 3 raging bunnies. Penny’s work has been exhibited throughout the United States, including the Toledo Museum of Art. Her work has been published in various international Design and Illustration annuals/books and has received many recognitions and awards. RAGING BUNNIES STATEMENT: What started as a “RABBIT-A-DAY” creative exercise, turned into a life-long passion. Although my illustration/art work covers the gamut of life and subject matter, I continually return to the little heart beats at my feet. 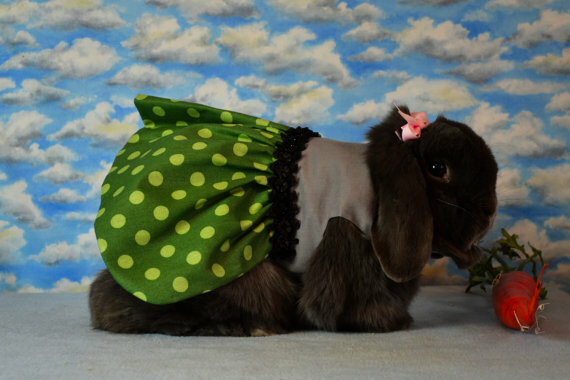 For far too long rabbits have been underrepresented in the fashion industry. These chic and stylish dresses are perfect for everyday wear, a night out on the town, or for a special photo opp. Products are available through custom orders placed through Facebook at "plaidrabbitdesignsbunnyart". 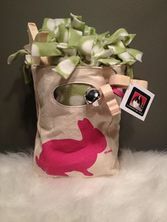 At BunFest 2016 bunny lovers can purchase treats, willow wreaths, apple sticks, t-shirts, bags and other art. Individually dried and packaged organically-grown wild edibles and twigs. They also have handouts and printed materials for customers describing the properties of the dried edibles- vitamins, minerals, properties, etcetera... Wild edibles will include: dried dandelion leaves, chicory leaves, violet leaves, Rose of Sharon leaves and others! Miko and Elliot enjoying some of the AWESOME TREATS!!!! The essential relationship between mind, body, spirit and intellect forms the foundation for the emerging field of holistic medicine. Animal Reiki is an energetic connection specially adapted to pets and other animals which offers targeted pain and stress reduction techniques through light touch. As a rabbit parent for over ten years, I know it can be challenging to keep your little hopper engaged, entertained and happy in the way we all want. Therefore, I’ve put my skills as a handyman to use building toys, furniture and dwellings to accomplish just that. I started making these creations for my own rabbits and they liked them so much I decided to make them available to everyone! About the products: Bradley Custom Crafts is committed to making safe and durable wooden toys to enhance the lives of rabbits. 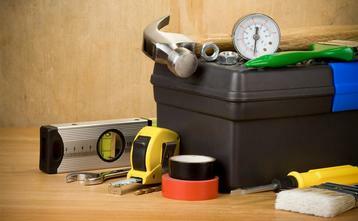 All products are made of untreated pine or poplar, non-toxic wood glue and steel screws, nails and finish staples. They are over engineered to be very durable and will last for many years with regular use. Hop and Scoot provides tasty treats for bunnies including dried fruit that is sugar, sulfate and preservative free and hay and pellet toppers made of high quality, apothecary-grade botanicals, herbs and veggies, many of which are organic. Venus the Bunny will have merchandise available featuring everyone's favorite 2-face rescue bunny- Venus!People can also learn about her rescue story and meet some of her popular friends from her FaceBook page! A tiny store with big dreams of making bunnies binky! 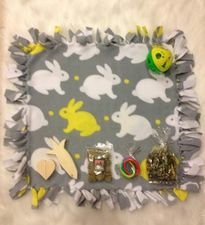 Crafted with love by a small group of bunny owners & bunny lovers! 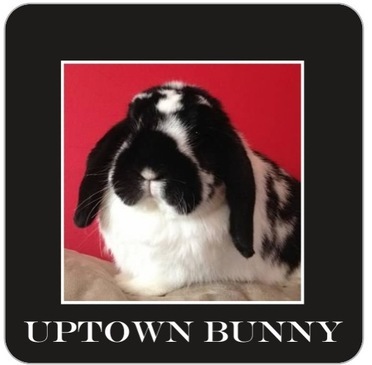 Uptown Bunny was started in March 2015. Our goal is to provide all bunnies and humans of all budget ranges bunny awesomeness through delightful blankets, delicious organic treats and other bunny merchandise. The funds we collect from sales are used for our "Hop it Forward" campaign which sends blankets, treats, toys, etc. to rabbit rescues nationwide.We have also donated many items to rabbit rescues for their auctions to help with rescue fundraising. Bingaling Bunnybox will be returning again to Midwest BunFest 2016 with their wonderfully addictive hays and bunny treats! 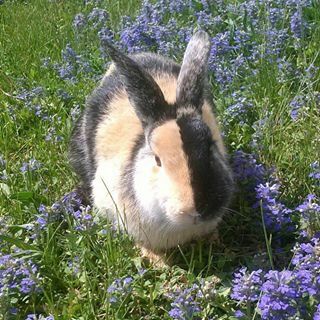 ​Always a huge hit at Midwest BunFest, they bring the famous Crazy Tasty Hay, Bunny Tato Chips, bunny treats, Critical Care, Complete Bunny Cookie Kits, Bunny Cookie Mixes, and more. 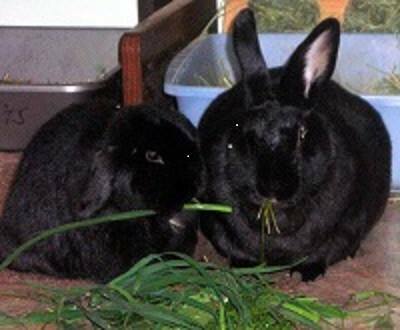 Crazy Tasty Hay® is a premium hay that is grown exclusively for house rabbits. This hay has been seeded, grown and harvested for the tiny mouths and specific tastes of bunnies. It is bagged to order, shipped immediately, and never sits on a store shelf. Crazy Tasty Hay® is pesicide-free and preservative-free. It has an aroma like no other hay and is always farm-fresh. Local Farm Hays. None are sprayed with pesticides, and no preservatives are used in these hays. All hays listed are Bunny taste tested and approved. Some are in the process of becoming a variety of "Crazy Tasty Hay". 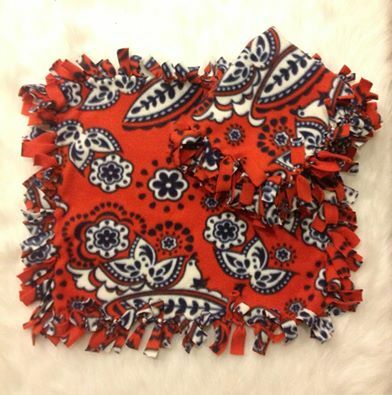 Sewing bandanas is my way of raising funds for a dog rescue I had adopted from. I learned to sew and make bandanas that slipped over the collar. I had to start a business to pay off my fabric debts after just a few short weeks. That was the beginning of Brown Dog Bandanas. My business has expanded to include items for many different types of pets. Fleece snuggle bags and cage hammocks are used by (so far) , rabbits, guinea pigs, hamsters, rats, hedgehogs, ferrets, chinchillas and hamsters. Fabric flowers and bow ties are also a popular item used by many. 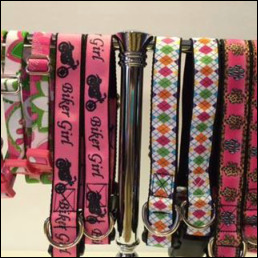 I look forward to continuing to create accessories for all pets. We are excited to introduce M.Y.Zeman , author and bunny parent!!!! 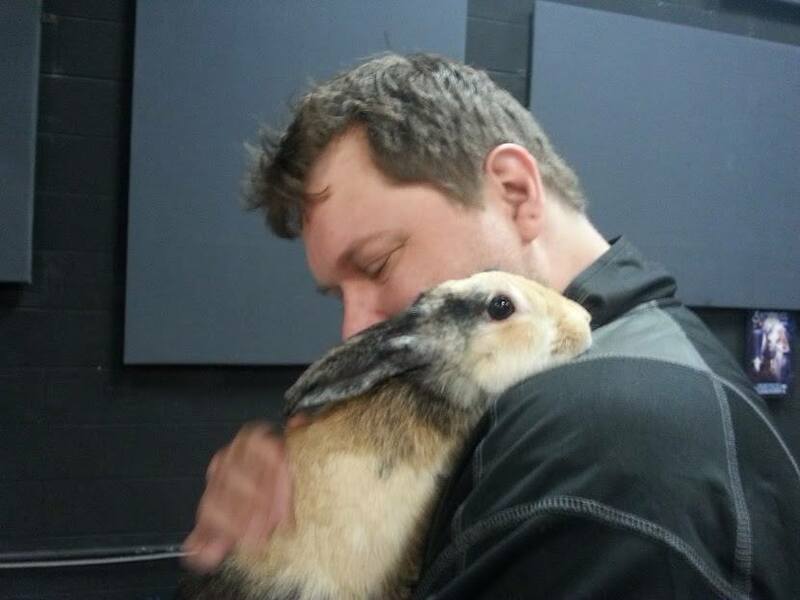 She will be joining us at Midwest BunFest 2016 to promote her YA Fantasy novels: Snowball Chronicles of a Wererabbit . Her table will be located on the main conference floor, where she will be selling and autographing books (Snowball Chronicles of a Wererabbit) and 11x17 posters with part of the profits donated to Ohio House Rabbit Rescue. 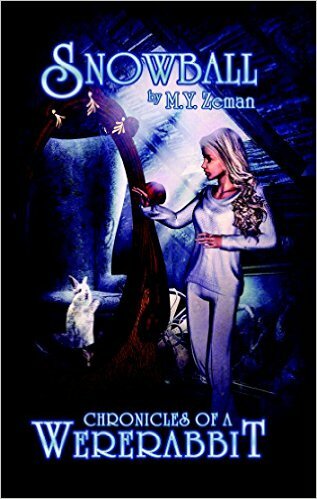 A lifelong fan of science fiction and fantasy, M. Y. Zeman is happy to be writing Snowball, the first book in the new series Chronicles of a Wererabbit. 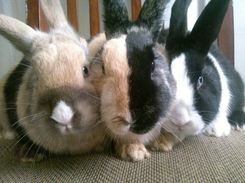 The story was inspired by her three dwarf bunnies: Fred, Barney and Yorgi. She lives in New York and is currently working on the sequel. Check out the book link on Amazon and her Facebook Page! Description of book: My name is Snow and I am a wererabbit. Snow Everly was born a rabbit and believed that her destiny was to die in a cold laboratory. Then one winter night, a vampire breaks in searching for his missing research. When the lab goes up in flames he goes back and rescues her. When she turns three years old, Snow gains the ability to shift into a girl. Why was she created? Who and what are the mysterious figures following her? Follow Snow on her journey as she searches for the answers. Snow's dream is to one day become a hero and above all else - she wants to be accepted for who she is - a wererabbit. Bunnyzine is a monthly digital (PDF) magazine that focuses on positive, bunny-related things. The main feature for each issue is on a particular bunny (or bunnies). After that, it will be a mixture of various events, stories, products, and community-fueled features. Bunnyzine is a monthly, community-inspired, digital bunny magazine. We publish on the first day of each month and each issue has a featured rabbit and a featured rabbit organization. But we do offer a pay-what-you-want feature which lets you choose how much you want to pay for the issue. 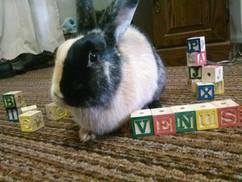 This is primarily used as a fundraiser for a rabbit rescue, shelter, or sanctuary. Running one of these rabbit-helping organizations is already a tough job in itself and adding the task of fundraising on top of the work makes it difficult. Bunnyzine hopes to give these places a little bit of breathing room by helping them financially. What will the rescue use the money on? Whatever they want. We hope they will use it directly on the bunnies but ultimately it is up to them what they want. Pay electricity bills, food, medical expenses, pens, toys, or keep it in the bank for a rainy day. There are no restrictions placed by Bunnyzine as to how they use the money. Offering amazingly functional and sculptural ceramic art! Including many bunny-themed pieces! For Midwest BunFest they are making special bunny mugs with great sayings, hopping bunny key-chains and bunny ornaments...Ohio shaped ornaments, bunny decorated food and water dishes and bowls adorned with bunny decorations for human use! Homemade Bunny Treats, Toys and Polymer Clay Jewelry. When a young girl befriends a very special wild rabbit, she is swept into a word of magic, mystery and danger in the young adult fantasy novel, BASAJAUN. Meet author Rosemary Van Deuren and purchase signed books, BASAJAUN t-shirts, jewelry, and more. ​A mystical warren. A ruthless pastor. A girl whose courage will be put to the test. Twelve year-old Cora Clyde is a farmer’s daughter in an isolated, turn of the century town. But when a vicious and mysterious pastor preaches that the countryside’s wild rabbits must be destroyed, Cora befriends a sentient rogue rabbit named Basajaun. As the rabbits’ hidden, magical world beckons to her, Cora becomes a target for the pastor’s deadly plan. Soon the secret behind the rabbits’ plight is unveiled, and Cora must fight to save not only their lives, but her own. 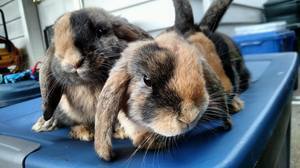 ​Offers boarding for rabbits, guinea pigs, and other small animals. My business is about changing the world, one quilt at a time. 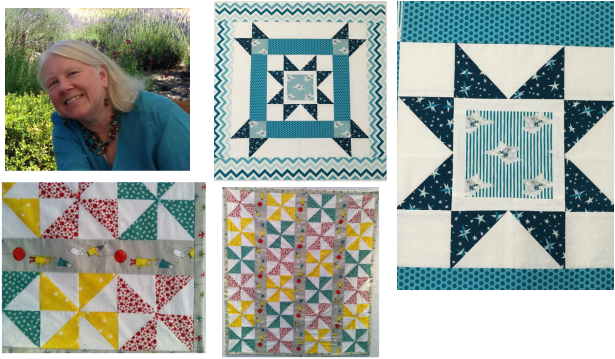 ​I create and sell handmade quilts and I donate the proceeds (after costs) to various worthy causes. I ventured down this new path about two years ago when a friend helped to create a shelter for abused and neglected domestic bunnies, the Ohio House Rabbit Rescue (www.ohiohouserabbitrescue.org). Eager to support my friend and save helpless bunnies, I starting making bunny-themed quilts that OHRR could sell, auction, or raffle off to raise funds for the shelter. I made about a dozen "Bun Fun" quilts, and the enthusiastic response that I received inspired me to think beyond bunnies to other worthy causes needing funds. I realized that this was the purpose I had been seeking -- that I could simultaneously pursue my two passions of making quilts AND working to change the world. Thus, my new venture, SEW RUTH: Quilts for Causes, was born. In this unique marriage of creativity and philanthropy, I continue to make original, handcrafted keepsakes for others, but now they are sold and the profits are donated to causes that protect and nurture people and the planet. Hop on by her webpage and check out the FABULOUS Bunny-Themed Quilts!!!! Organic herbal products and treats for rabbits. Absolutely ZERO cereal grains, gluten, additives, preservatives, binders, added fats or sugars, 100% organic; made with ONLY hay, fruits and vegetables. 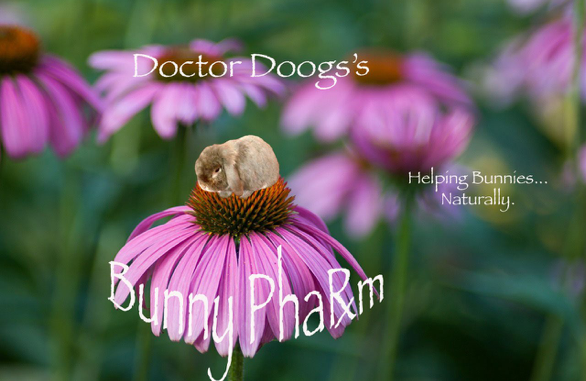 "Our mission here at Doctor Doogs’s Bunny Pharm is to help bunnies live the fullest lives they can, full of health, vitality, and longevity by providing education and 100% bunny-safe products to help PREVENT common yet often fatal bunny illnesses and to help bring out all that a bunny can be...all that a bunny should be." Starsprinkle Supercollider is a husband and wife artistic collaboration inspired by nature, fantasy, and a love of storytelling. They strive to promote peaceful coexistence between all living things and a better awareness of one's impact on their environment. They make and sell hand-made of all-original material; amazing and beautiful jewelry and artwork. Their work features lots of bunnies and other animals! Bun Warmers are microwaveable heating pads made for small pets and their humans.. Also available are water-resistent, washable covers for the warmers. 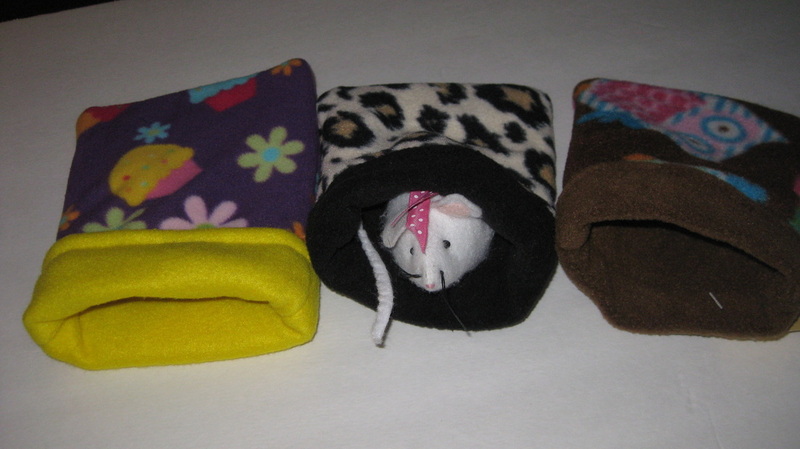 Bun Warmers are flax seed filled flannel pouches that can be microwaved to retain heat. No cord to be chewed, and a safer filling than rice in case your pet chews through the fabric. Testing has shown that after 45 seconds in the microwave the warmth can last up to 2 hours. 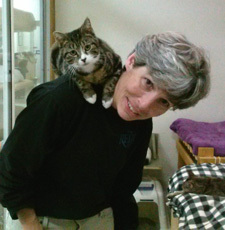 Bun Warmers can be used for any small pets, orphan animals, and humans! 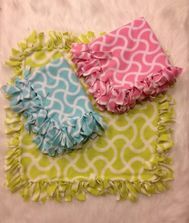 In addition, we have washable fleece covers that are lined with Zorb, which is used to keep diapers water resistant. The intention is to keep your pet dry in case of an accident. The warmers can be spot cleaned, but the covers can be tossed in the laundry! Custom orders are welcome if you should need a different size warmer and/or cover for yourself or your pet. 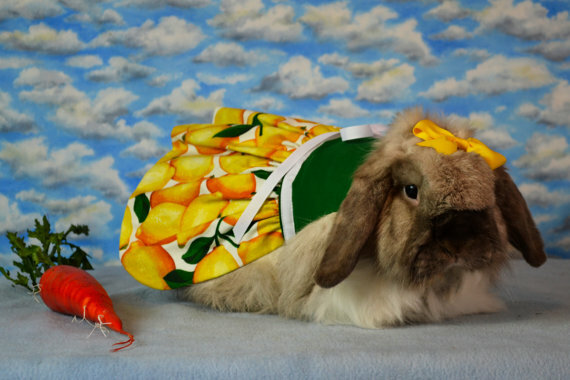 PLEASE NOTE: 50% of all profits are donated to the Tampa Bay House Rabbit Society. ​Offering DISCOUNTS for multiple orders from 501c3 Rescues! ​Providing vegan desserts, baked goods, cookies, fudge, chocolates, cupcakes, brownies and more! All items will be pre-packaged so they stay fur-free! gluten-free and other allergy friendly items will be available. Handmade, bunny-themed, fabric items for the humans! Tote bags, purses, coin purses, zippered pouches, drawstring bags, tissue holders and cards!